Robert Percival was an 18th-century Irish army officer who is best known for his extensive voyage to the Island of Ceylon, or Sri Lanka. This voyage, which began in 1797, was an important voyage as it brought new discoveries to Great Britain prior to Britain’s rule of the island. Percival specifically outlined manners and customs of locals, as well as climate and natural science discoveries. This work also includes a section detailing the events of Robert Knox’s captivity on the island. 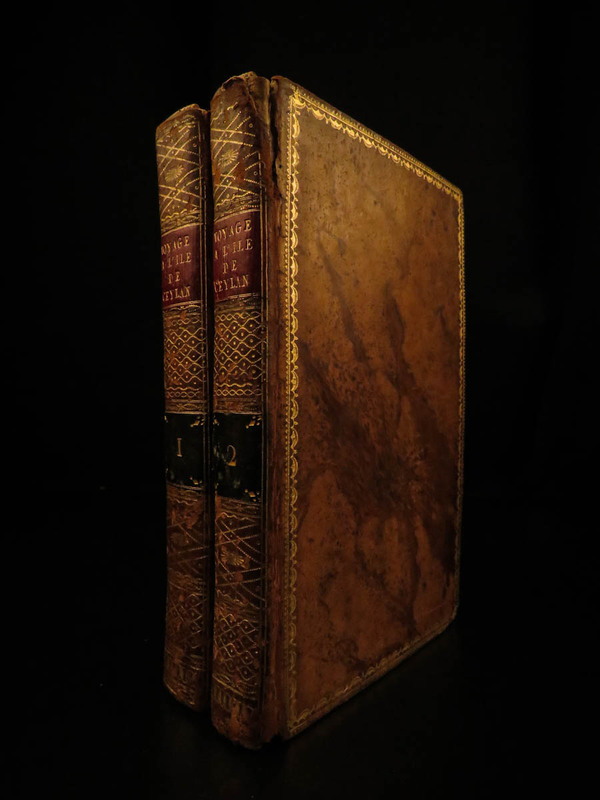 This rare early 19th-century first French edition was translated out of the original English by Pierre François Henry. Paris : Dentu, imprimeur-libraire, palais du tribunal, galeries de bois, n° 240. An XI, 1803. First French edition.